If you are suffering from neck or back pain in Fayetteville, GA, you may want to consider contacting an experienced Chiropractor for pain relief treatment. The Chiropractors at Arrowhead Clinic have been treating pain and injury conditions for over 40 years. Many people who come to our clinic are experiencing pain that came about after being involved in an accident. However, that is not always the case, and our Chiropractors do treat patients who are suffering from chronic neck or back pain. Regardless of how the pain began, our doctors have experience providing the pain relief treatment that patients need to make a full and optimal recovery. At our Fayetteville office, our Chiropractors partner with Medical Doctors to provide patients with a specialized treatment plan tat is designed to treat their specific pain and injury conditions. Do not wait until you are in terrible pain before contacting a Chiropractor to help you. Click on the link below now for a free consultation with our Fayetteville Chiropractors today. Chiropractic Care is often the first treatment choice for many pain and injury symptoms. Chiropractors specialize in treating spinal injuries and soft tissue injuries. They do not prescribe pain medications or do surgery. Chiropractic Doctors are highly trained in spinal adjustment techniques and natural healing. This helps to relieve pain symptoms and restore the body to its natural function while maintaining its health and wellness. The longer you wait to receive chiropractic treatment, the more unpleasant and painful everyday tasks can become. When you come to our Fayetteville office, our doctors will develop a specialized treatment plan to help relieve your pain. Determining the underlying cause of the pain condition is the first step to being able to properly treat the pain symptom. 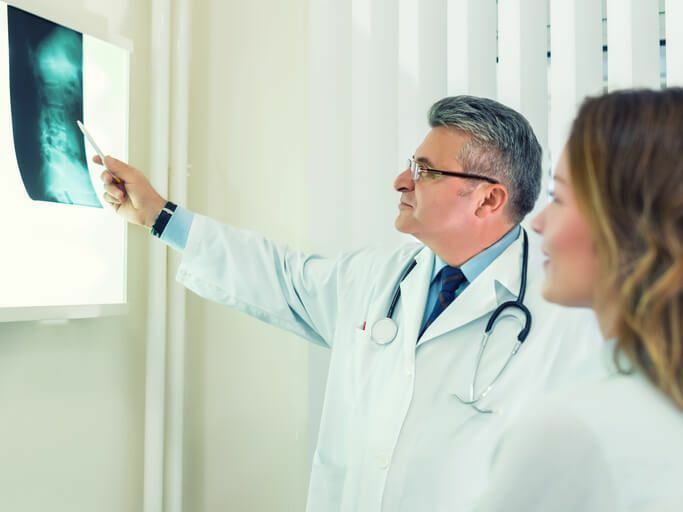 When the doctor has identified the underlying cause of your pain, they will provide a treatment plan that is designed to target and treat your pain condition, which will eliminate your pain symptoms. Our Fayetteville Chiropractors perform safe and natural treatments. Chiropractors focus on correcting spinal misalignments and relieving muscle tension around the injured vertebral body. A Chiropractic spinal adjustment corrects the structural alignment of the spine and helps to improve the body's physical function. Pelvic Stabilization Drills- Is used to stabilize the pelvis and correct a walking gait. This is used in patients who suffer from leg length deficiency, flat feet, and subtalar instability. The Doctor may prescribe a small lift to place in the shoe's heel on the short leg side. Ergonomics Training- Recommendations on how to modify your work station or sleeping positions in order to decrease pain. Flexion-Distraction Technique- Gentle, hands-on pumping action on the invertebral disc. Chiropractic Care is an all natural method of healing that us used to reduce pain and help the body heal naturally. When you arrive at our Fayetteville clinic, you will need to complete paperwork that will ask you about your medical history, and the pain symptoms that you are experiencing. When we have a complete understanding of your medical history, we will complete an examination that will evaluate your range of motion, stability, and muscle tone. Our Chiropractors require an x-ray exam upon the initial visit to our office. This is an important step that helps our doctors determine the underlying cause of your pain. The Chiropractor needs to know which vertebrae, discs, and joints in the spine are causing you pain in order to treat you properly. When your exam has been completed, the Doctor will review your diagnostic testing and present you with a customized treatment plan. Chiropractic care is utilized to help relieve pain, boost the immune system, prevent disease, increase energy, and promote overall health and wellness. Chiropractic spinal manipulations help to relieve pain by taking pressure off the neurological tissue, increases range of motion, restores blood flow, reduces muscle tension, and creates a series of chemical responses in the body that act as a natural pain killer. If you are experiencing chronic pain, or an were involved in an accident that caused an injury, the Chiropractors at our Fayetteville clinic can help with your recovery. For a free consultation, click on the link below to speak with the Best Fayetteville Chiropractor today.